Founded in 1966 in collaboration with pioneer US cable company, Garg Associate Private Limited today is India’s one of the leading designers and manufacturers of High Performance wires and cables. Whether it is a custom design or a standard product, there is a solution to the most demanding environment and application. Garg Associates produce a wide variety of Fluropolymer wires, PTFE , ETFE , FEP equipment and multicore cables, coaxial cables, thermo couple cable, high powered shielded Multicore cables, flat cables and high speed data cables. In terms of industry applications we cover Defence, Aerospace, Navy, Medical, Automotive, Telecommunication and other electromechanical applications. We have been exporting wires, cables and sleeves to Germany, UK, Italy, Canada, France, South Africa, Australia, New Zealand and USA etc. for more than 30 years. 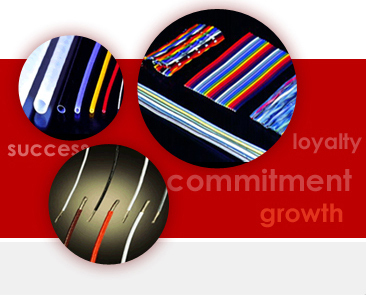 Our Strength lies in quality products, Sales Support and Customer services.